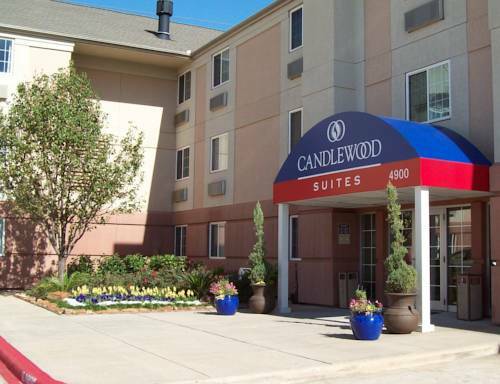 Hotel offers Southern Hospitality in the Houston Galleria Area The Candlewood Suites Houston by the Galleria hotel is ideal for tapping into the full Texas experience. This hotel has a close proximity to the Galleria and other Houston attractions that offers guests access to popular city features. Close to parks, shopping and business districts, our extended stay hotel helps you explore Houston, TX and everything the city has to offer. For the business traveler, our apartment-style suites create a sense of home, as well as provide all the modern technology you may need to accomplish your work goals while on an extended stay at the hotel. Houston is home to many major businesses and industrial parks and our location gives guests centralized access to many of them. Our beautiful city is a great place for vacation travelers as well. Close to Reliant Park, Lakewood Church and downtown Houston, there's something for everyone. Easy access to the Galleria makes us a Houston visitor's shopping haven, and the theater district has multiple shows playing throughout the year. During your stay, enjoy our 24-hr Candlewood Gym, full kitchens and free laundry services. Visit the Outdoor Gazebo Grill, grab a movie from the Lending Library and stop by the Candlewood Cupboard convenience store. Book a suite with us today and experience all that we have to offer! Meyerland offers several stores for your shopping pleasure. Examples are Target, StienMart, Ross, TJ Max, Bath and Body Works, Bed Bath and Beyond, JCPenney's, Office Max, Best Buy, Dress Barn as well as several eateries. Memorial Park Driving Range open on Tuesdays at 4:00 p.m. The last bucket of balls will be sold at 8:30 p.m. Memorial Park Golf Course is known as one of the best municipal courses in the nation and is visited by more than 60,000 patrons each year.